When I said yesterday that the forecast for the night was ‘sunny’, I should perhaps have added that that was the forecast for today, too. And for tomorrow, and tomorrow and tomorrow, as far as the predictions go, though not, I hope, until the last syllable of recorded time. The brimstone butterflies would be a better illustration of the hellish weather, but they won’t stay still long enough to be photographed. 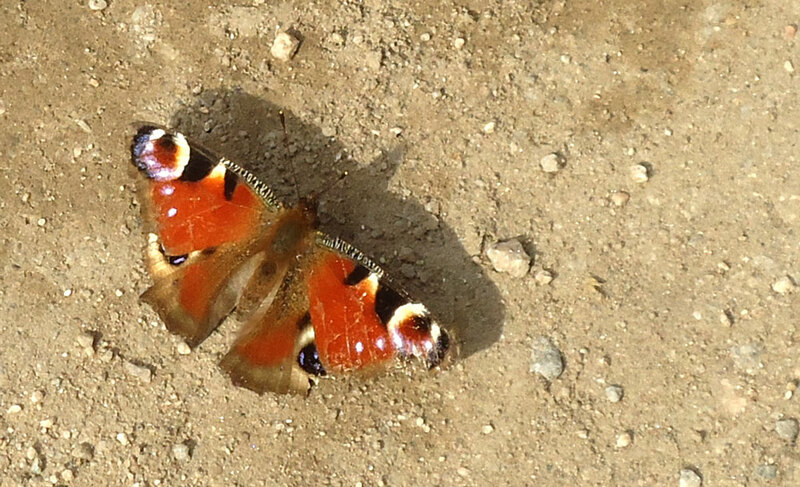 Instead here’s a peacock butterfly who couldn’t find any green to settle on.